This is a sumer easy, simple recipe that I adapted from a friend of mine who made these with regular melted chocolate. 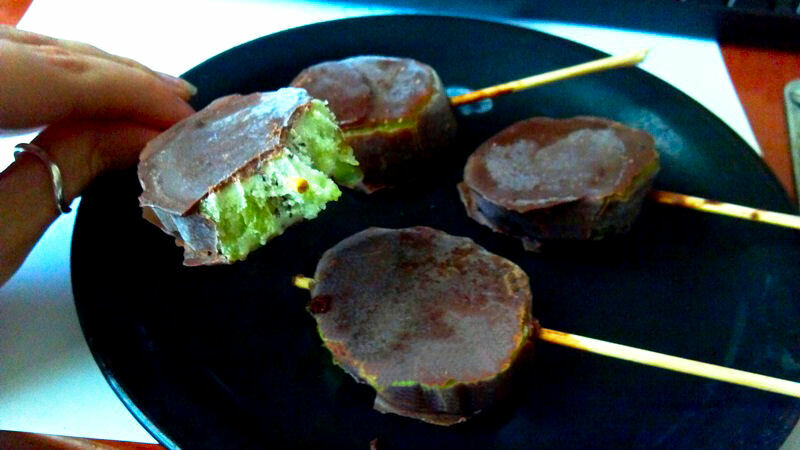 I make these with 1 part coconut oil to 1 part chocolate, which makes them healthy and guilt-free! Not to mention the kiwis! And, if you want to add that extra superfood punch to it, mix in a couple tbsp of maca powder. This will give the chocolate a butterscotch flavor too! 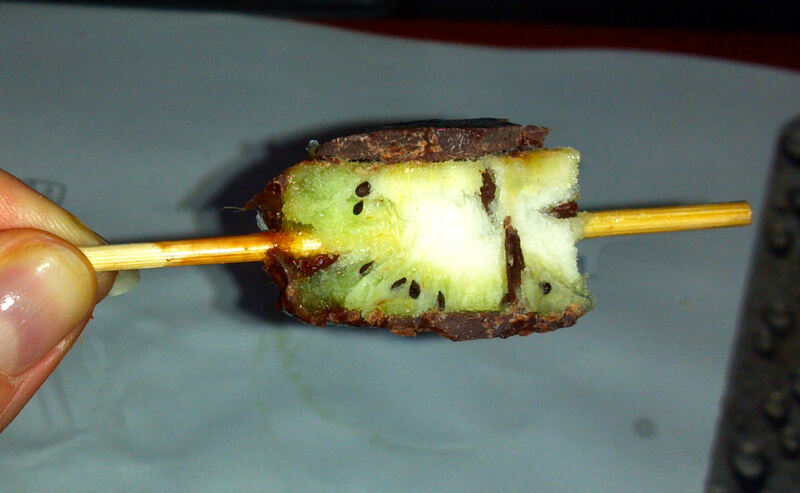 Step one: slice the kiwis, put popsicle sticks in them and freeze. Melt the chocolate over a double boiler. To do this, you fill a large pot with a couple cups of water, place a smaller pot with the chocolate inside it, and let the heated water do the melting! Keep your burner on LOW heat though. We don’t use any high heat around here! Mix in the rest of the ingredients and leave it on the stove so that it all blends together to make a smooth consistency. dip the frozen kiwis in, and place on a tray or plate. The chocolate will freeze right away, but it will be a thin covering. Once all the kiwis are dipped, go on in for round two! You should get a pretty good chocolate layer around! 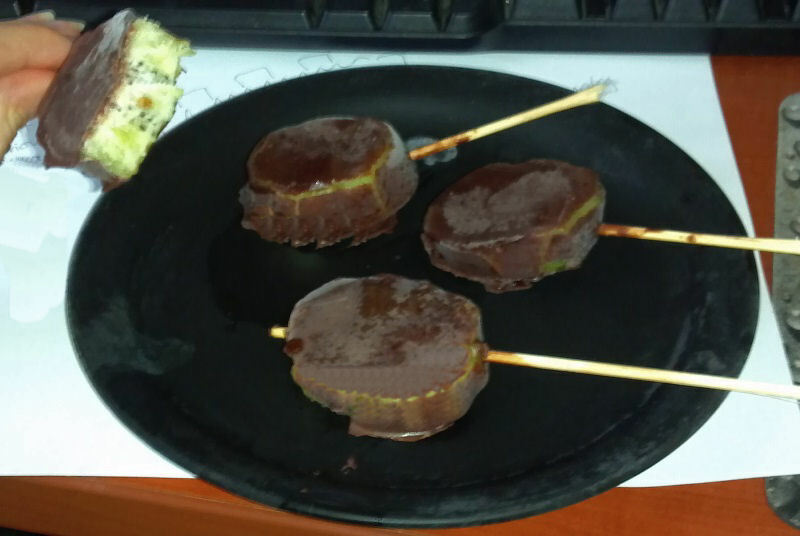 Step Four: Place the chocolate covered kiwis back in the freezer until completely frozen, then take them out and eat! The end! Simple, delicious and good for you!